On Site Planning and Free Quotes Available. 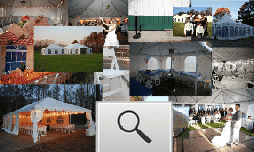 Tables, Chairs and Tents for all your Special Events. Classic Canopies Sales and Rents Tents and Canopies. A Little Tent Rental Buys a Big Time! At Classic Canopies, we provide our customers with personal service and quality equipment.